It has been years since I used a desktop machine for development, but working on a laptop does make physical security harder. If someone steals your machine, how much do they have access to? If you're on a Mac, here's a tip Apple taught me for securing your data. 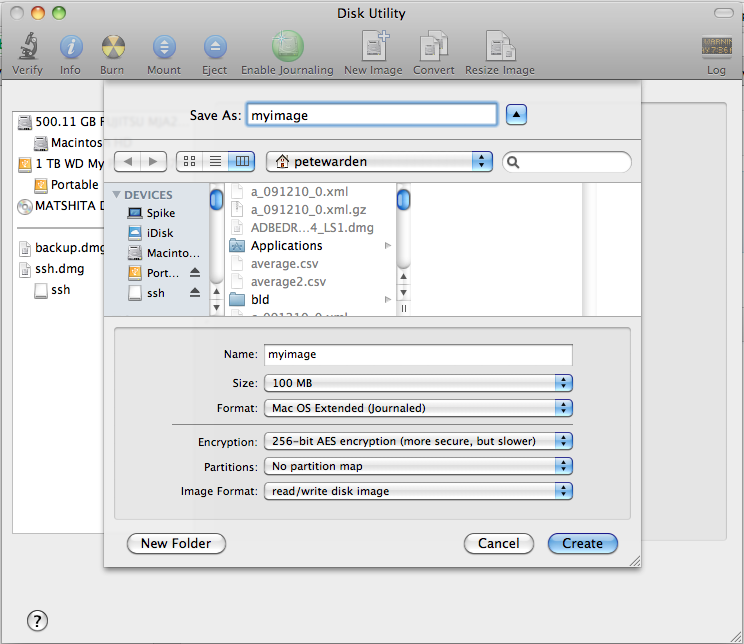 – Open up the 'Disk Utility' application, under Applications/Utilities. – Select 'New Image' from the top toolbar. – Choose the name, size you want (it's hard to change afterwards) and under encryption pick 256-bit AES. Everything else you can leave at the defaults. – On the next screen pick a strong password, and very importantly, uncheck 'Remember password in my keychain'! We want to ensure that anyone who wants access to the data has to enter our original password, not get access to it via a reset user password, so we don't want it stored in the keychain. You'll now have a DMG file on your drive, and it will be automatically mounted when you create it. To test it's working, go to the finder and hit the eject icon next to where it appears in the sidebar. 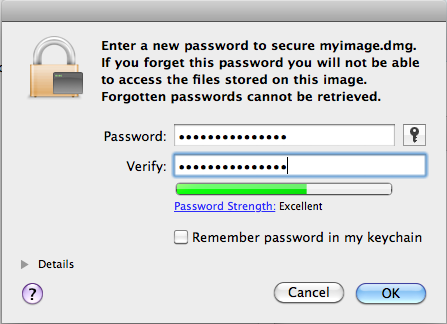 After that's complete, double-click on the DMG file and you should be prompted to enter your password. Again, make sure you don't check the remember password option. You should see it appear in the sidebar again. The volume will remain mounted for as long as you're logged in, so you need to make sure you have a password set on your screensaver. With that in place, an attacker will need to reboot your machine to reset account passwords, and so would need to re-enter the password to get access to the data on the disk image. There are alternatives of course, such as using FileVault, TrueCrypt or an encrypted USB key, but I've found this a simple and straightforward way to help secure your data.